Birds are interesting creatures. I adore them so. Thankfully, I live around varied wildlife, however, the birds simply astound me. Every morning I am greeted by birds. They flit about, landing on my balcony, hovering in trees, on branches, gathering atop chimneys, swan-diving off the balcony, and choosing to settle in the crawlspace in my bedroom ceiling during cold weather. Those are the starlings. I do not mind this at all, nor do they cause a problem or damage. I enjoy it. I can hear them up there scurrying about with their little bird feet trying to stay warm in frigid temperatures. They sing to me and talk to one another and I hear them through the ceiling and that brings me peace. When that first occurred years ago, I thought: You are finally going stark raving insane. Observing wildlife this morning, birds specifically, brought profound existential realizations. We are not separate from nature and wildlife as so many humans think and feel, in fact, we are a mirror of nature itself. I have always felt this way, however, most do not. Today, this was proven to me. I live in a park-like setting. There are Japanese maples, maples, elms, oaks, ash, pine and cherry blossoms, to name a few. There is one particular tree, an adolescent among the rest, where all the birds attempt to take control of daily. Sitting here now, watching them, as if a thunderbolt struck my right temporal lobe, I thought: The birds are doing exactly what we do to one another in society. I watched all the birds present, Coopers Hawk, sparrows, starlings, crows and bluejays and noticed that only certain birds were on the balcony rail or in a tree at the same time. The Coopers Hawk is typically in control of everything in this micro-sphere. Unless the hawk snags a baby crow, then all the crows go after the solitary hawk. In turn, the crow is then in control when the hawk is not present so far as going after squirrels and bullying other birds to remove themselves from the tree or balcony. After that, the starlings are in control. They come in flocks and take over whole trees and my balcony all at once. If another bird happens to fly on the rail or on a tree branch, the starlings make sure that bird removes itself. I saw two starlings snuggled up with one another on the rail and then one pecked at the other. A single bluejay hopped up onto the rail and the starlings chased it away. Bluejays are not birds that easily give up either. They can be quite aggressive. The bluejays are new this year. They live in one pine tree, an entire family. There are about 5 of them right now compared to 20 or so each of sparrows and starlings. Today, I noticed something quite impressive. The sparrow is able to move within all the birds and critters. I was watching the tree that all the birds attempt to control. It was full of starlings. The crows were strutting about as they do, flying from one tree to another and cawing on the ground in the snow, but the starlings and bluejays were vying for control of this one tree. One bluejay flew into the tree, then another. When two were there, the starlings dispersed. Another bluejay flew into the tree. They had control of this tree. Then the starlings gathered around and all of them flew into the tree chasing away the bluejays. The sparrows remained in the tree throughout this fiasco. The sparrows are always there, on the balcony, the rail, in the trees with squirrels, bluejays, crows and starlings. Not the hawk. I saw the hawk carry away a robin and a small crow once, however, the sparrows are not out and about when the hawk appears. They hide deep in the thorny bushes where the large hawk cannot fly into. Smart. Meanwhile, all the other birds are out there flitting about trying to control everything. The sparrow is a small non aggressive bird compared to the others but that is not why the sparrow is different. The sparrow exhibits the middle way. You see, the sparrow is concerned about now, collecting food, making nests, gathering what is needed for existence. The sparrow is not concerned with control. The sparrow is mindful. The sparrow is able to communicate and be around all species, birds and critters without being a threat. I have yet to witness any creature attack a sparrow or cause a sparrow to leave. I have never witnessed a sparrow being aggressive towards another living thing. To me, the sparrow represents those of us in this world that do our best to walk the middle way. The other birds represent those of who have no control and attempt to take and gain control of others or those perceived as weak. Observing birds this morning, I witnessed all of us, society everywhere, pecking at one another, attacking each other, trying to control one another. Then I witnessed the sparrow, going about its day not bothered by the chaos of the other birds. The sparrow is not affected by this repeated game the birds play, the games that we, humans, play. The sparrow, to me, is by the far the strongest bird of them all. Today, I learned lessons from a sparrow. 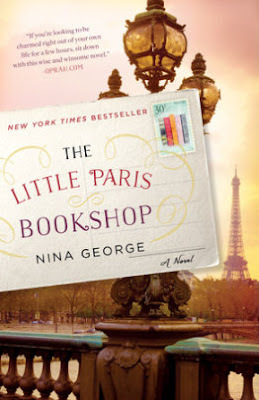 Nina George, prize-winning and bestselling author and journalist who published 26 novels, mysteries and science thrillers as well as over a hundred short stories and more than 600 newspaper columns, wrote The Little Paris Bookshop, first published in German as "Das Lavendelzimmer" on May 2, 2013. This newly translated German bestseller is a warmhearted, occasionally sentimental account of letting go of the old loves to make room for new. 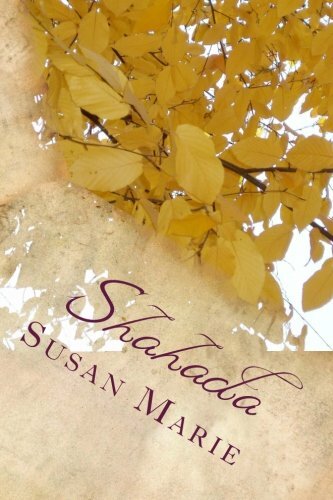 Set in Provence, this sensual novel deals with heartbreak, solace and the love of books. Translated into 335 languages, ranked among the top ten novels on Spiegel Magazine’s bestseller list for fiction since May 2013, and entered as well the New York Times bestseller list. Jean Perdu has lived in a time capsule of his own grief. Twenty-one years ago, his lover, Manon, left, leaving behind only a letter to explain herself—which Jean never opened. Ever since, Jean has devoted his life to his floating bookstore, the Literary Apothecary, a barge docked on the Seine. He can diagnose a shopper's ills (ennui, disappointment, a range of fears) and select the correct literary remedy. When heartbroken Catherine moves into his building, Jean brings her an old table and a stack of books to cure her crying. In the table, Catherine finds Manon's unopened letter and demands Jean read it, or she will. The two become enamored with one another, and Jean, buoyed by Catherine, finally reads Manon's letter, but the truth is heartbreaking. Manon returned to her home in Provence (and her husband—it was complicated) to succumb to an illness she had been hiding. Her last request was for Jean to visit before she died. Jean, overwhelmed this news, lifts the Literary Apothecary's anchor to finally make the journey to Manon. Stowed away is his neighbor Max, a young novelist running away from his fame. The two navigate the canals of France selling books for food, engaging in adventures small, large, all against the backdrop of quaint villages, and bittersweet memories. They take on some passengers: a roguish Italian who has been searching the waterways for his long-lost sweetheart; and a renowned novelist. As Jean makes his way to Manon's home (all the while writing love letters to Catherine), he prepares to ask for forgiveness—from the memory of Manon, from her husband, and from himself. A charming novel that believes in the healing properties of fiction, romance, and a summer in the south of France. Nina George's lyrical tribute to love, literature, people, living, dying, and all things French was a privilege to read. This novel is a homage to the vanishing independent bookseller, but it is much more than that. It is a reflection on love and death and other deep subjects. It is also a love letter to France. The winter solstice, the rebirth of the Sun, is an important turning point, as it marks the increase in the hours of daylight. The solstice is the moment the sun is shining farthest to the south, directly over the Tropic of Capricorn. This is the shortest period of daylight and the longest night of the year. Although the solstice marks official "midwinter" on my side of the globe, this day is a welcome to the light. Every moment I do my best to learn from every experience. Human beings tend to focus only on positive OR negative experiences. Negative experiences eventually become positive if one is paying attention. 1. That all of us are valuable parts of one race, the human one, with beautiful, diverse parts that make life interesting and exciting. We are a microcosm of an immense grand stage, yet we think we are the epicenter of everything. We all have numerous purposes, some yet to be discovered. Do not discount your own being. None of us are greater than another. 2. That an immense ever growing desire to learn about everything is a rare and beautiful way to be. 3. Not everyone will understand your struggle, outlook, opinions, beliefs and especially, your heart and soul. That is okay. Stay by those who do. Learn from those who do not. Believe in yourself first. 4. Move on when any experience discounts the importance of your own being. Do what you must to progress, grieve, heal, then teach others through your actions. Stand up for yourself. 5. Love is wondrous. It exists. Do not be afraid to show others that you care for and love them. Your heart is precious. Yes, there is pain in life, this is how the universe operates. Keep your heart open. The world needs more of this. Most importantly, you need yourself. 6. Love yourself fully. Take care of your mental, physical, spiritual and emotional health. Be proud of and for yourself. You must be your own supporter first and foremost. We are only human. We are supposed to make mistakes. We are not perfect, we were not created to be omniscient. This is what being human is all about. Bliss, pain, progression, repeat. 7. If you want to create, then do it. What are you waiting for? You have the ability to do whatever you want. There is no time stamp on creation. Support all genres of art wherever you are, however you can. All art heals. 8. Nature is a natural healer. Get out in it whenever you are able. Place your bare feet in grass, dirt, sand and water. Place your palms on the barks of trees, hug a tree, plant a tree. Start a garden, put plants in your home, teach those around you of the wonder and importance of nature. Pick up rocks, stones, twigs, shells, whatever is of this Earth. Document the beauty. We must be more kind to Mother Nature. Without her, we cease to exist. 9. Be responsible for your behaviors, words, and actions. Say sorry. It does not matter if one says it back. Be mindful of how you communicate and think. Words. Hurt. Be kind to yourself and to others. Those meant to stay by you, do. Allow other doors to stay shut. You did your part. 10. Be a child! Run through sprinklers, make snow angels, lay beneath trees, walk in the rain, get out in the sunshine. Be silly, have fun, laugh and smile. Do not ever allow anyone to cause you to lose your wonder. 11. We have 24 hours every single day to decide to do something lasting while on Earth. Whatever you do, large or small, make it count. 12. Cease obsessing about how you look, what you did or did not do, thinking about the past, blaming yourself for things you had no control over, you cannot control everything. Do what is healing. There are amazing people and experiences waiting for you. 13. Hug those you care about. Tell them you care. Show them you care. Recognizing another human soul is crucial for progression on both ends. Bring more happiness into the world and to yourself. Intention is EVERYTHING. 14. Some people will never move past their own hurt. If you are unable to make a positive impression, move on. You tried. It is up to them now. 15. You are not a doormat. Say it! --> I am not a doormat. 16. If you are in need of help, get it, ask. If you can help another, do it! Cease being ashamed of being human. We have all screwed up. So what? If you never screw up, you never learn lessons. It is NORMAL to have a wide range of human emotions. 17. Tell the children around you that you love them. Hug them. Give them confidence. Motivate them. Teach them how to be responsible, active parts of their world. Teach them what you know. Show them through your experience. Allow them to teach and guide you. You were given this role as an adult because you were chosen as a guide to another human soul. Your job is to help them be the best version of themselves possible. 18. Be grateful for your family. Make sure they are aware of this. Some people have no one. 19. Learn about different languages, cultures, sexual genders, faiths and beliefs. We have a wondrous world. It is okay to disagree with anything that does not suit you. It is not okay to attack others that live, look, and practice differently than you do. 20. Open your mind. Keep it open. Wherever you are, remember, if you do your best with what you have, that is all that matters. If you can do more, fantastic. Why do I leave you with this short video? I found this in the dirt like this, the irony . . .
Take a walk in the woods with acclaimed Irish-Canadian scientist and author, Diana Beresford-Kroeger, as she reveals our profound human connection to the ancient & sacred northern forests and the essential role that they play in sustaining the health of our planet. WHEN: Wednesday, January 10th, 2018, 7pm-9pm, Free admission, family friendly, in kind donations accepted and appreciated. WHY: We cut down billions of trees every year. 5% of the world’s old growth forests remain intact. Yet trees are one of this planet’s most significant creators of food, new medicines, and oxygen. Forests hold the answer to many of the world’s problems; from climate change to human health and well-being. 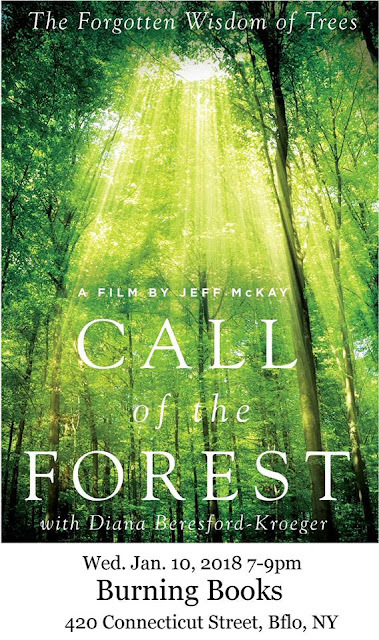 Call of the Forest tells the amazing stories behind the history and legacy of these ancient forests while also explaining the science of trees and the irreplaceable roles they play in protecting and feeding the planet. - Diana’s call to action - to protect the native forests of the world and for every person to plant one tree a year for the next six years - provides us with a simple and powerful solution for climate change. As she travels across the globe to tell the story of the life and the science of the global forest, she presents us with a revolutionary conception of their value to all life and a message that could, literally, save mankind from itself. This film represents the effort to make visible the invisible, by bringing the viewer into the healing environment of a pine forest as it releases its medicinal aerosols, to share the complex science of a sacred ecosystem that feeds and protects the planet, and to explore the history of our human community as it has grown in symbiosis with the forests that wreath our planet. This film is Diana's love letter to nature - it is hope that this film will offer a sense of hope and a path forward for those of us who seek to protect and preserve our forests. Diana Beresford-Kroeger is a world recognized author, medical biochemist and botanist. She has a unique combination of western scientific knowledge and the traditional concepts of the ancient world. Orphaned in Ireland in her youth, Beresford-Kroeger was educated by elders who instructed her in the Brehon knowledge of plants and nature.